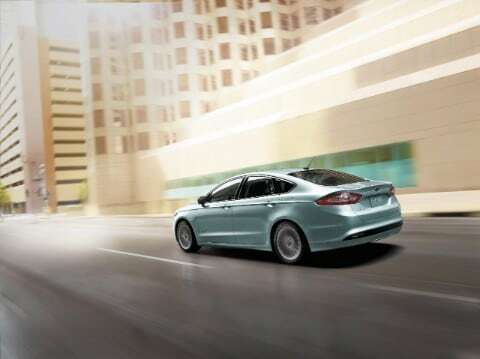 If you would like a hybrid in a midsize sedan, the most stylish of them is the Ford Fusion Hybrid. This car tempts buyers with the addition of hybrid and plug-in fuel efficiency to the new stylish lines of the Ford Fusion. Ford's factories are making every Fusion they can build. Fusion supplies both. I-4 gas engine choices span from a 2.5L iVCT engine to EcoBoost turbocharged, direct-injection power-plants. With robust low-end torque and virtually no turbo lag, EcoBoost technology squeezes maximum power from each drop of fuel. Along with impressive efficiency. Equipped with a new 1.5L EcoBoost that is combined to a six-speed SelectShift automatic transmission, Fusion has an EPA estimated rating of 36 hwy mpg. The 1.5L EcoBoost can also be equipped with available Auto Start-Stop, which shuts off engine power when Fusion comes to a complete stop and seamlessly restarts it as you release the brake pedal. 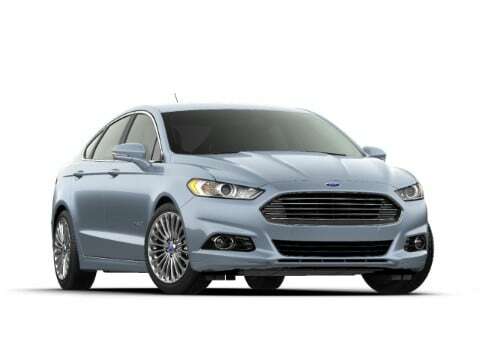 The Fusion Hybrid is based on the gas-powered Fusion, but it has a few exterior cues that will tip off onlookers that they aren't looking at a regular Fusion: The hybrid has badges on the front doors and trunk lid, plus special 17-inch wheels The general appearance of the Fusion Hybrid's cabin hews closely to the looks of the regular model, which is more modern than before but still trails competitors like the Kia Optima in terms of materials quality. The seat fabric in the Fusion Hybrid is made from recycled materials; leather seats are optional. 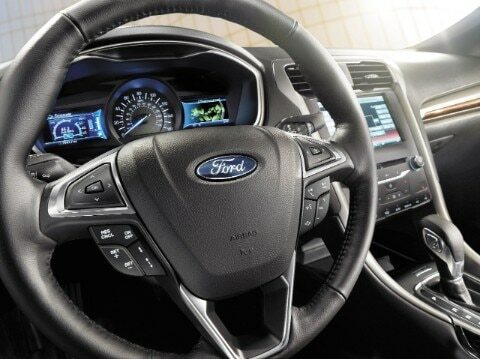 The hybrid has a unique gauge cluster that Ford calls SmartGauge with EcoGuide, designed to help drivers save fuel. Can you help me find the exact configuration I would like? What other cars does Ford have in their lineup? How do I estimate my monthly payment? The refinement of the Fusion's hybrid system is commendable, as is its retention of a folding rear seat. The Fusion Hybrid still stands out as an excellent hybrid vehicle. Give us a call today if you would like more information on the Ford Fusion Hybrid!